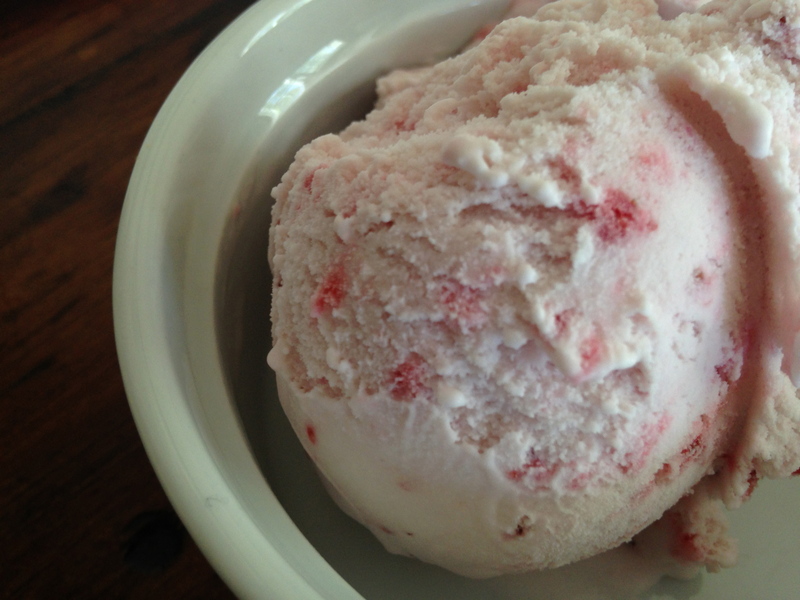 Fresh, delicious, homemade strawberry ice cream. The perfect pink color with a few chunks of strawberry. Just the way we like it! Combine the coconut milk, sugar, and vanilla extract. Refrigerate for at least 2 hours. Hull the strawberries and do a rough chop. Add to the processor with water and puree. Pour the coconut milk mixture into the ice cream maker and churn for 10 minutes. With two minutes left, add the strawberry puree. When combined, place into a freezer safe container and freeze. Enjoy! Are you vegan or are you plant-based? I just made the peach version of this. Definitely ice cream weather!! What beautiful ice cream. Looks delicious! I have made similar “ice” creams with frozen fruits since this is the best way to use them before they go bad especially in hot weather. Since I don’t have an ice cream maker, the vita mix does an excellent job of mixing the frozen fruit. When the consistency looks good, I take it out, divide the mixture into 2-3 servings and top with some home made vegan chocolate sauce. Yum! sounds great! if we don’t eat all of the blueberries from the CSA, i am going to freeze the extra blueberries and try this. thanks! I just pinned this and will be making it soon! Looks delicious and so simple! yes, so simple! let me know how it goes. looks so good. just bought an ice cream maker (yesterday!) and MUST try this. First time making actual homemade ice cream (instead of banana “ice cream,” which I make all the time). Thinking about subbing raspberries, though – because they’re free #rightnow. Any thoughts about sugar to fruit ratio? it is so easy! i use the same sugar ratio for all of my ice creams. i would strain the raspberries though after processing them to get all of the seeds out. let me know how it goes! oooh, great idea. and, i will! here is how i did it when i made raspberry sorbet!